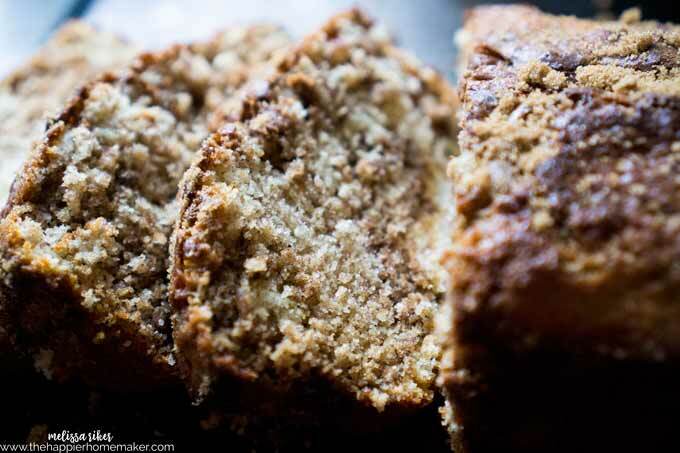 What is it about cold weather that makes you want to bake? This past weekend we had three days of flurries here in England-not very common in this part of the country. The first day it looked like a little dusting but after that it was just warm enough to keep it from sticking. I was a little disappointed because I can only imagine how gorgeous all these Cotswold thatched homes would look covered in snow! It’s been snowing on and off for three days but it’s too wet to actually stick. We went to a nearby pub to warm up by the fire and enjoy the atmosphere-I’ll miss these simple times the most when we move this summer. 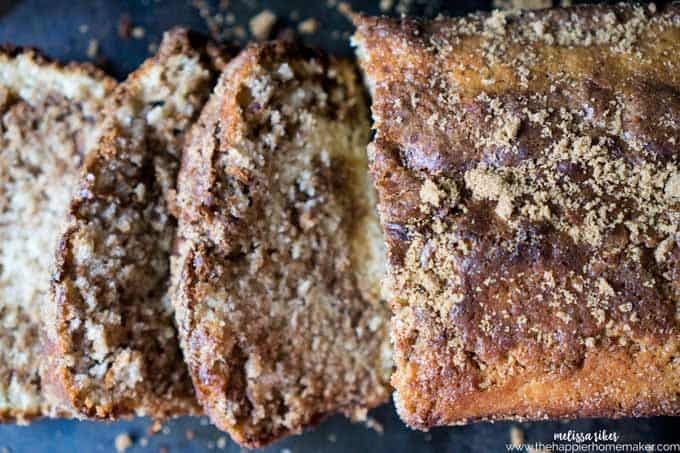 Enjoy the cinnamon bread warm with a little butter or cooled on it’s own-it’s perfect either way! (Printable recipe below) Preheat oven to 350 degrees. Grease and flour a 9 x 5-inch loaf pan. Pour half the batter into the prepared pan. Sprinkle with half of sugar and cinnamon mixture. Pour the remaining batter over the top; add the remaining brown sugar/cinnamon mixture. Pat topping into the batter with the back of a large spoon. Use a butter knife to swirl the batter both horizontally and vertically to mix brown sugar mixture into the batter. Bake for 50 minutes or until toothpick inserted in the middle of the loaf comes out clean. 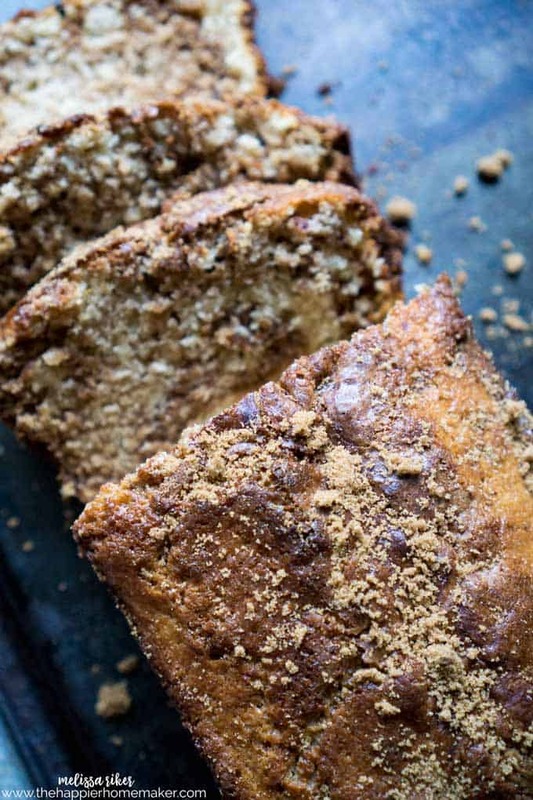 Sprinkle with additional tablespoon of brown sugar over the top if desired. Cool in pan 10 minutes before transferring to a cooling rack. I hope you enjoy it-please leave me a comment if you make it-I love hearing your feedback on my recipes!! In a stand mixer or large bowl, combine white sugar and butter until smooth. Pour the remaining batter over the top; add the remaining brown sugar/cinnamon mixture. Use a butter knife to swirl the batter both horizontally and vertically to mix brown sugar mixture into the batter. Sprinkle with additional tablespoon of brown sugar over the top if desired. Am excited to try your bread! For your Easter break, is Ireland too far away? My husband and I visited there a couple of years ago and absolutely loved it! We mostly stayed in Galway, but were in a couple of other southern towns as well. 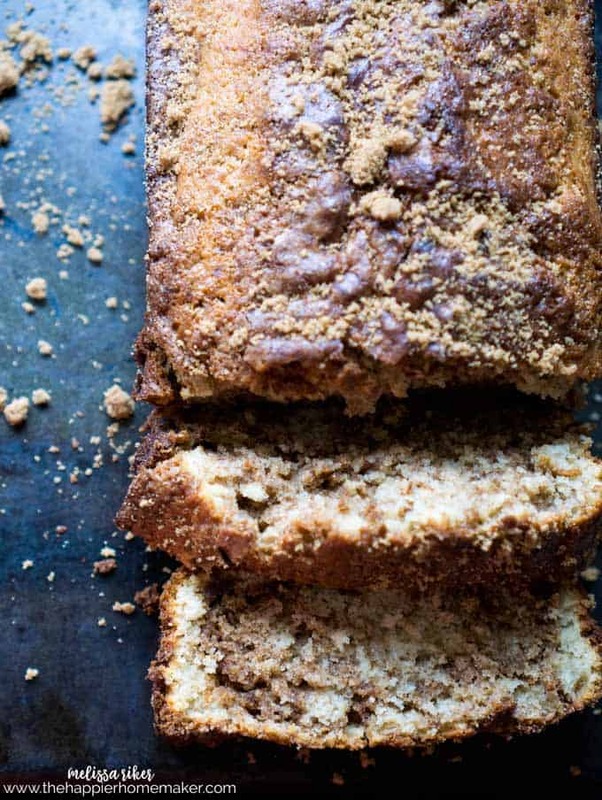 I may just be trying your cinnamon bread today. Have you been over to the Isle of M an yet? There’s also Northern Scotland, ie Inverness, or the Isle of Skye that is also not far from Inverness. I envy you being over there. When do you put the apple in the bread? 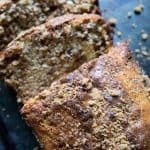 I used this recipe as a guide to make a gluten free Cinnamon Swirl Bread and it turned out perfectly! Thank you so much for this simple, easy recipe. All I had to do was replace the flour with gluten free all purpose flour (I used Better Batter), and the texture is indistinguishable from the glutinous version. Bravo!